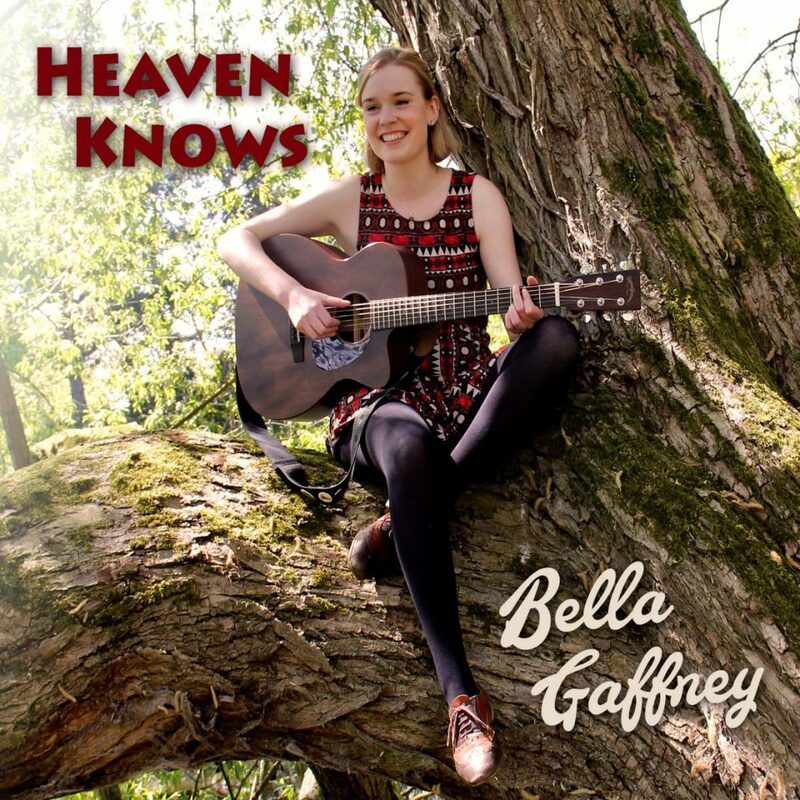 From the expertise of Folkstock Records and wordful mind Bella Gaffney comes a new album of acoustic delight. 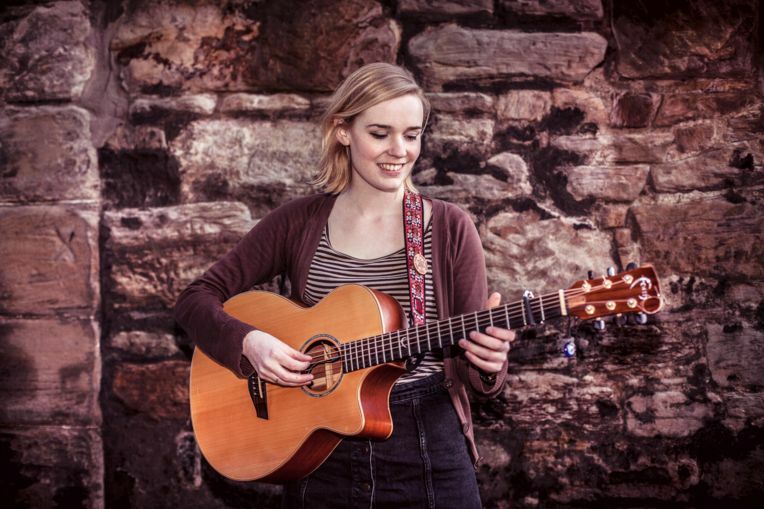 The joy of Folkstock is that it is rather skilled at representing an awesome range of female (and sometimes male) voices to the folk world and recognising artist talent that others might miss. Not only this, they work with these artists to bring the magic out and in doing so promote musicians with a unique sparkle that doesn’t follow a prescribed definition of folk music. 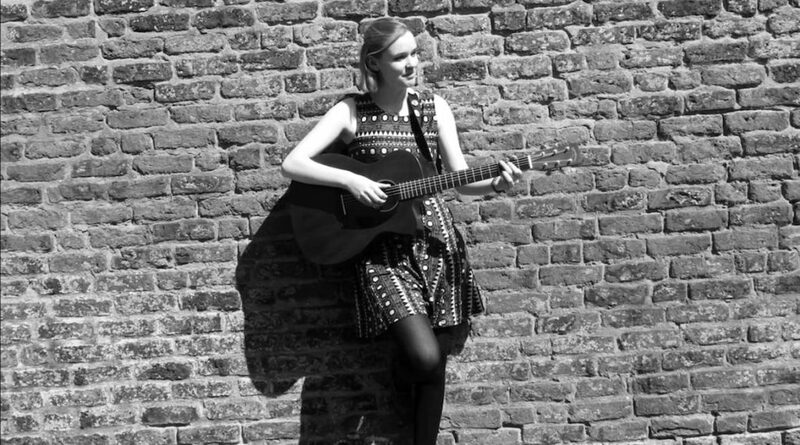 Gaffney certainly has her own shine; if she was coming to your party she would wear her folk music like a bright and colourful flower on her shirt but not without a cool, slightly worn Blues Brothers trilby too. These images and sounds compliment better than the description might make out, they certainly do in her song style. 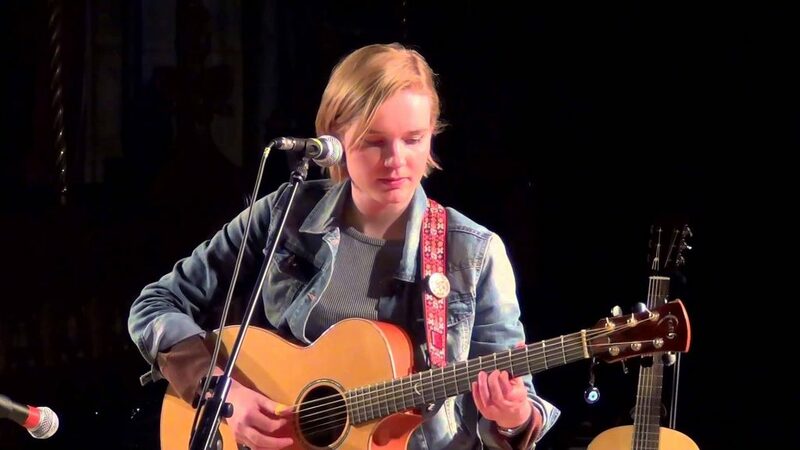 Bella can be found somewhere between Bradford and York though this year she has been on a well-received tour of clubs and festivals (we had the pleasure of seeing her in Hebden Bridge in 2017). As an artist on a journey, how was her album release? “Heaven Knows” is not only a crisp, veritable slice of humble and capable songwriting; it serves as a reminder that unlike the cooking of al-dente spaghetti, everything doesn’t have to be thrown at the kitchen tiles (recording process) in an attempt to make something stick (in that time honoured way I was taught to cook pasta). On paper there are a lot of instruments here ranging from concertina to fiddle, bass guitar, piano and more but everything is in it’s right place. It is the difference between putting a seashell to your ear to hear the sea and sitting in a Ferrari with the sounds of waves vol 2 playing through the stereo at max. There is a conciseness to the selection of instruments, it is beautifully orderly like the musical equivalent of the KonMarie Method. Looking at the tracks there is joy all around and, like the best cheeseboard, enough variety to mean you are not leaving your seat anytime soon. “I am the tide” (Track 2) and track 3, “After the fall” are in the order they are a rather neat set of stages in a relationships: adoration (track 2), and then a break-up number (track 3). “I am the tide” is a self-proclaimed love song with a “big folk ballad feel.” This is definitely not far off the mark. Starting gentle like lapping waves at the shore there is a folky-ache in Gaffney proclamations that strikes like an aggravated cobra as she hangs on the words .”After the fall” is even better. It has some notably refined lyrics as Gaffney laments and expresses several cutting metaphors of disappointment, “strip me down, use me up, wash me clean, with your tears from the flood.” The guitar cuts down like sheets of rain in the storm of this track, the voice rises like dry ice. Another good song. When it comes to covers, Gaffney’s version of “Cocaine” is as dedicated, characterful and hazy a cover that can be asked for. It is dark Americana in a disused alleyway, it is a sharp intake of breath contrasted with the frosty exhalation of winter air during the late end of Autumn. The song is what it says on the tin, the thought and experience of the drug,”cocaine is all running round my brain.” More lingering than John Martyn’s original it has a slower bite. It deservedly calls for your attention with it’s minor harmony creating a nice accompany to the main singer’s smouldering dark lullaby and a tragic but addictive tone. Gaffney has embraced the song and the era bringing all the delightful wonders of the age with her, her voice shines as it rises and falls in a marvellous addition to the album. “Grandma’s House” is not alone on the CD in being a relatively quiet and introspective powerhouse of a song. It is based on the true life story heart-warming tale of a grandmother in Greece who takes in a whole family of refugees who don’t speak her language. It is a great song on many levels, the addition of concertina, low backing vocals and some fiddle alongside Gaffney’s venerating and sweet voice builds a picture of a song of pure empathy and power. This kind of songwriting reminds of the best of other artists like Louise Jordan and her recent World War concept album. As Jordan does, Gaffney celebrates kindness in a hallowed, rich hush that many artists strive for and she hits on the head. This is quite possibly the best song on the album with it’s ability to paint a picture of the coast, it’s heart-wrenching fiddle work and ability to replay through your brain through your working day. A very good track. It is a lean album. It is muscled like Mo Farah rather than Charles Atlas as the CD definitely is geared for distance rather than brute strength and there are some fine tracks on the CD. Gaffney has some good songwriting skills that she brings to the table here. She makes it look easy as she does her sprint for glory following an excellent year of songwriting and performance, as a growing recognised artist she is certainly coming into her own. Check out Bella’s website to have a little listen to some of the tracks here, or check out the sample video below! The CD is available to buy from Folkstock Records here.